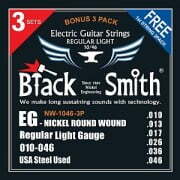 BlackSmith Guitar Strings Are Here! We are delighted to introduce Blacksmith Guitar Strings to the UK exclusively @ The Music Deli! https://www.themusicdeli.com/wp-content/uploads/sites/18/2016/02/10-46.jpg 300 300 steveadmin https://www.themusicdeli.com/wp-content/uploads/sites/18/2015/11/new-logo4.png steveadmin2016-02-08 13:07:252016-02-08 13:07:25BlackSmith Guitar Strings Are Here!